A dental bridge is a treatment that is designed to replace one or more missing teeth. Bridges are permanent restorations which act to ‘bridge’ the gap between two healthy teeth. A Bridge can fill a gap of up to four teeth if there are healthy natural teeth flanking the gap. This type of dental bridge involves creating a crown for the tooth or implant on either side of the missing tooth, with a crown secured between the two. Traditional bridges are most common and are designed with porcelain fused to metal or ceramic materials. This type of bridge is used when there are adjacent teeth on only one side of the missing tooth or teeth such as one of your very back teeth. 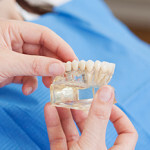 Cantilever bridges are usually used to replace only one tooth at a time. Also known as a resin-bonded bridge, these are made with plastic teeth and gums and are supported by metal bonds. The bridge has small metal wing-like pieces that are bonded to the existing teeth. For each of these treatments, the whole procedure usually takes two appointments to complete. 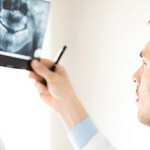 Space left by missing teeth can affect your oral health. These gaps can cause chewing problems, difficulty in speech as well as impact the aesthetic appeal of your smile. If even only one tooth is missing, other teeth may slowly shift out of place. This changes the way your teeth fit together (your bite). A poor bite may make your jaw sore and put undue stress on the jaw joints and muscles. Your teeth may become harder to clean, leading to tooth decay and gum disease. Dr Mark Dennes and his team also offer dental implants for suitable patients. Find out more about dental implants here. 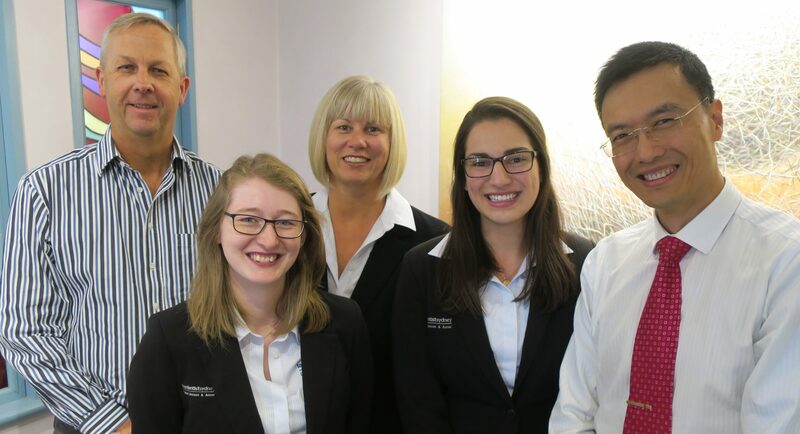 Our friendly and knowledgeable team will be happy to answer any questions you may have regarding dental bridges and other tooth replacement methods. Available now with Dr Mark Dennes located on Macquarie Street near Martin Place Station in the Sydney CBD.